I think most of us have used this frase to get a meeting where you can sell your products and services. However most people don’t like being sold – they wanna buy! So what more compelling to the one you would like to meet. 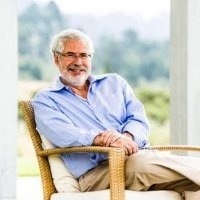 And below in his blog this morning, Steve blank adds some brilliant ideas from his experience in meeting and prioritising meetings and getting such conversations that are truly, deeply engaging and valuable to both parties meeting and will initiate friendship relationship building based on true value creation, as both parties capture real value from the sharing mindset. It’s win/win, it’s common ground. Note that the rule of reciprocity is in play as well – so who’s going to take the initiative? So I’ve come up with is a method to do meetings with. Read more Steve Blank posts at http://www.steveblank.com.